The condition of any borehole is paramount to its ongoing performance. An existing borehole should be reviewed periodically to highlight any potential faults before they develop into major problems that may risk disruptions in supply. If a borehole develops a problem, for instance a reduction in performance, then this needs to be investigated, and the most effective way of performing all the necessary checks to identify the cause is by carrying out a visual inspection using CCTV. Camera is lowered into borehole. WSWDS offers a complete video surveying service for boreholes using a mobile service unit. 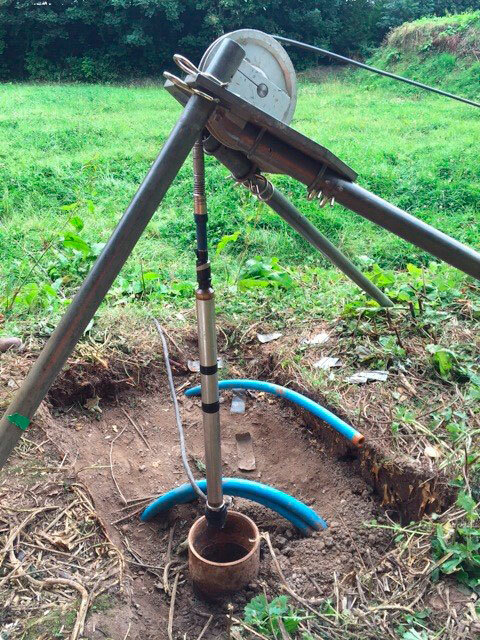 The CCTV survey takes a look down the hole of a new or existing borehole to depths exceeding 300m, providing visual images and evidence of borehole construction, condition and geology. The information gathered provides the engineer with extremely useful data that can be used to identify problems and plan out the solution. A full colour DVD of the survey is compiled giving a permanent record of the condition of the borehole and a basis for further consideration of requirements. 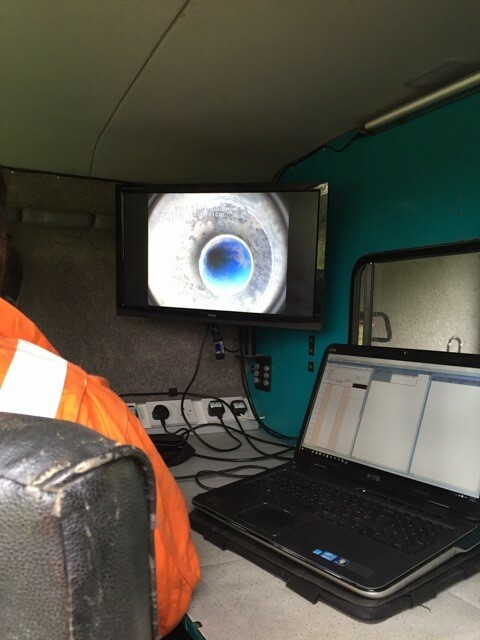 What information can be gained from a Borehole CCTV survey? Locates and identifies causes of obstructions. Determines the condition of casings and grout seals. Identification of corrosion and bio-fouling. Location of voiding behind linings. Investigate groundwater quality, mineral conditions and geological strata. Verifies correct type, size and position of casings and screens. Checks the integrity of casings, grout seals and borehole stability. Provides benchmark data for monitoring changes. Locates lost tools or pumps and assists in retrieval.